In the history of a nation, its commercial relations with neighbouring countries or with those over the seas matter a great deal. Someone once said that, across centuries, the most common ways of interrelating between people were war and trade. Both activities have many advantages but also significant costs. History has shown that in the case of trade, the balance is tilted towards its benefits. Although they also participated in armed conflicts, most often against their will, the Romanians contributed to the history of Europe and the world especially by participating in cross-border trade. Who were their ancestors and what did they do? Who are their contemporaries, and most importantly what must they do? The answers to these questions rest on today’s youth, who are obliged to flesh them out and to better understand their past in order to become the main actors to bring about a positive change in the Romanian society. It is the authors’ hope that the work presented in article is going to contribute to the process of dealing with the various facets of the historical development of this nation, which has done well in the past and should take great pride in itself. Therefore, in order to mark the 100th anniversary of the Great Union of 1918, which led to the appearance of Greater Romania, a group of specialists in the field of foreign trade considered it appropriate to publish a work that would capture the most symbolic landmarks of the course travelled by Romania during this period on the trade routes with foreign countries. The four specialists that comprise the aforementioned group are Mihai Ionescu, Valentin Lazea, Dumitru Miron, and Gheorghe Zaman. The work appeared in book form just before the 1st of December 2018, under the aegis of the Romanian Academy Publishing House, and it is titled 100 Years of Romanian Foreign Trade (the original Romanian title – 100 de ani de comerț exterior românesc). The idea underlying this work belongs to Gheorghe Zaman, a corresponding member of the Romanian Academy. Dr. Zaman insisted that among the great number of studies dedicated to the anniversary of 100 years since Greater Romania was established, at least one should focus on the interconnectedness of Romania’s economy and the world economy and on the international trade climate. Also, the proposed study had to present the changes that the Romanian economy underwent in the complex landscape of the European economy after its integration into the European and Euro-Atlantic structures. This call that was initiated by representatives of the Romanian research environment quickly caught the eye of Dr. Mihai Ionescu, Executive President of the National Association of Exporters and Importers in Romania (ANEIR). Mr. Ionescu decided to contribute the financial resources, and also add to the mix the especially important relational and managerial capital. It goes without saying that all three elements have been instrumental for the finalization of this editorial project. Furthermore, Dr. Ionescu contributed the entire second chapter, which refers to the evolution of the Romanian economy at a time when normality became abnormal, and economic rationality was pretty much challenged. 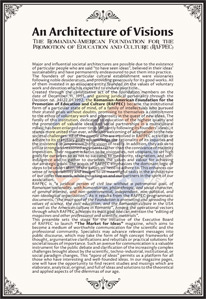 As for my part, I considered that, as a member of the academic environment (with its research and educational designations), it would be a duty and an honour to be part of this “triple helix logic” (that of the dynamic relationship between academia, industry and government) and contributed to the synthesis of the most relevant Romanian inputs to the thesaurus of international trade science and to the transformations that took place between 1918-1948. Mr. Valentin Lazea, the Chief Economist of the National Bank of Romania, rallied to this editorial enterprise and analysed with great accuracy the evolution of the tertiary component of the economy, highlighting the fundamentals of the tertiary process of the Romanian economy and trade. 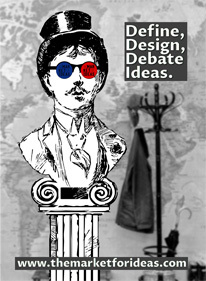 The authors started from the idea that although there are some who urge us to focus only on the issues we should feel sorry about and so be obliged to apologize, there are many historical achievements that allow us to be proud of our past, to know it and to respect it, and to make it a foundation for future achievements. The authors of this work had as an analytical vector the hypothesis that, as Acad. Mugur Isărescu (Governor of the National Bank of Romania) emphasized in the preface to the book, “we will manage to better see into the future if we look in the past”. The analysis carried out in this work is based on the premise that the complex quantitative and qualitative elements that make up the commercial phenomenon in which the territories inhabited by the Romanians were involved cannot be clearly understood unless the doctrinal trends in the field are made explicit. Therefore, the book begins by identifying the ideological background of a number of Romanian thinkers on several sensitive theoretical and political issues. For instance, there was a thorough analysis of subjects such as: the protection of Romanian economic interests; the ways of maintaining a dynamic balance of foreign trade; which were the sustainable competitive advantages of our national economy and how they evolved over time; how were the decision-making processes of public authorities placed on the axes of regulatory and institutional consistency and constancy; how private actors reacted at different moments of the period under scrutiny; what did citizens of these territories think and how they expressed their ideas. It can be noted from this book that the history of Romania’s external economic relations was one of searching for the best position relative to the ever-shifting equilibria in which the Great Powers found themselves. Readers of this book may note the synergistic positioning of the Romanian scholars in relation to classical liberalism, manifest neoliberalism and ordoliberalism (the crux of the social market economy), to conservatism (as a state of mind sceptical to hasty societal changes), Marxism (that ambitiously promoted determinism and dialectical materialism) and Keynesianism (full of reflections on property rights, entrepreneurial spirit, creativity, innovation and difference in earnings). By reference to these doctrinal constructions, it can be noted from this book that the history of Romania’s external economic relations was one of searching for the best position relative to the ever-shifting equilibria in which the Great Powers found themselves. The unbiased and scientific analysis of the history of Romania’s foreign economic relations allows the extraction of the maximum amount of advantages by understanding the facts of each decision at different moments in time. Research shows that Romania has endeavoured to join the groupings that promised and could ensure sovereign equality for all participants in the strategic game, and relied on the vital role played by the great national forces at the level of balances of power. At the beginning of the history of the last 100 years, we can observe both successes and failures, and we can conclude that all that is desired cannot always be achieved, but only what is possible under certain circumstances. Marvin R. Jackson’s opinion emphasized that, from the analysis of the public policies promoted in Romania until the Second World War, one can conclude that the decision-makers “either failed to stimulate the productive forces of the country, with appropriate public policy measures, or failed to overcome the difficulties of the international circumstances in which Romania acted”. One can conclude that the decision-makers “either failed to stimulate the productive forces of the country, with appropriate public policy measures, or failed to overcome the difficulties of the international circumstances in which Romania acted”. History shows us that there are times when less can be done due to the hostility manifested at the international level, but also when there are opportunities that remain open for a while, and these can only be taken advantage of if proactive, brave and intelligent decision-makers occupy the right positions. The authors of this work bring to the attention of the readers Constantin Rădulescu-Motru, Vintilă Bratianu, Ștefan Zeletin or Mihail Manoilescu, emphasizing their adherence to or their detachment from the great international streams of thought and the lessons that can be drawn from their works. Throughout the analysis, we have insisted on the transformations that have occurred when it comes to international economic stability, as well as for the economy of Romania. In this vein, we emphasize aspects such as the upsurge of the competition for markets; intensification and structural diversification of cross-border flows of inputs; aggravation of political rivalries; battles for areas of influence. Seen on the basis of these considerations, the authors believe that Romania has always been a target of the Great Powers and therefore it had to make a sensible balance between them. 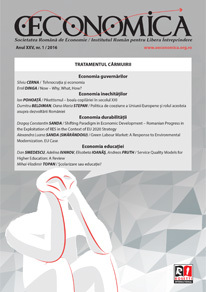 The new type of international division of labour, the continuously changing structures of the specialization processes in production and marketing and the nature of possible public strategies and policies that were employed corrected some asymmetries, while also highlighting the structural vulnerabilities of the Romanian economy. It is argued that the operational mechanisms of Romania’s foreign trade were, during the analysed period, significantly influenced by factors such as: the emergence of monopolistic (public or private) structures; the increased tendency to seize and maintain certain markets; the raised importance of cross-border economic flows (commodities and factors of production). Romania’s foreign trade can be regarded as collections of phenomena with positive or negative effects, networks of rules according to which they are transposed in practice, mechanisms that favour those who are able to take advantage of them, but are prejudiced against those less prepared to participate in the commercial game. The basic analytical driver promoted by the authors of the book focuses on the role of foreign trade in the equation of Romania’s economic development. Although sometimes they emerge from the simplistic assumption that the drawing of economic history does not have to focus on decisive moments, as is the case with other branches of history, it is necessary to understand that some temporal factors make delimitation between epochs and within them possible. We find in this book the idea that much of the important potential of foreign trade in the process of economic dynamics is squandered, not because commercial flows by their nature are contrary to general or specific interests, but because it is managed in a way in which it generates economic and social polarization and limits freedom of action. The analytical vector of this book is based on the assumption that Romania’s foreign trade can be regarded as collections of phenomena with positive or negative effects, networks of rules according to which they are transposed in practice, mechanisms that favour those who are able to take advantage of them, but are prejudiced against those less prepared to participate in the commercial game. 1918-1948: The segmentation of the period 1918-1948 in several sub-periods is based on the intensity of the balance between the state of confrontation and the state of cooperation that were manifested at the level of the European continent. The evolution of the Romanian foreign trade experienced a certain cyclicality, with relatively strong increases, followed by more or less notable periods of contraction. However, Romania has not deviated from one of the basic rules of economic diplomacy, according to which foreign trade relations are essential components of foreign policy, thus taking note of the events that unfolded internationally. The detailed analysis of our country’s foreign trade reveals the fact that, in all three sub-periods, the structural asymmetries fuelled by the very low extent of diversification of the Romanian economy manifested itself through adverse effects. Throughout the interwar period, Romania had a reactive (defensive) behaviour that led to many opportunities being missed, the prevalence of tactical measures at the expense of strategic ones, the squandering of favourable moments and the postponement of the absolutely necessary restructuring. An understanding of these facts can only be made if a number of parameters are taken into account, such as: the persistence of a high degree of revisionism on the part of the Great European Powers; the permanent obligation of our country to pay war reparations and to be forced to adhere to economically disadvantageous (bi- or pluri- lateral) agreements; the importance of random factors for Romanian exports as well as of structural factors in the case of imports; the footprint of crisis situations on all public policy strategies. Romania has not deviated from one of the basic rules of economic diplomacy, according to which foreign trade relations are essential components of foreign policy, thus taking note of the events that unfolded internationally. A rather painful sub-period of Romania’s economic history began in 1945, when a government was established that dwarfed the existence of a coalition of all the political forces of the time, in fact being imposed by the Soviet hegemon. Thus began an epoch whose effects will have to be carefully studied to capture their depth, reverberations, and complexity. In the first years, the pattern in which the Romanian economy became enmeshed was defined by the cessation of any industrialization of the country, the exacerbation of the anti-competitive economic behaviour, the transfer of most of the income abroad and the change in the basic macroeconomic fundamentals. 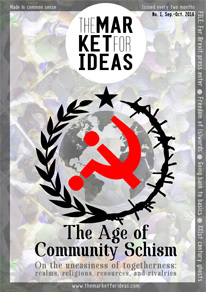 This period of what can be called “communist marauding” has been characterized by issues such as the growing difficulty in the process of creating the stock of foreign exchange reserves necessary for the continuation of imports, especially those supplementing the domestic supply; an increase in structural asymmetries in production and exports; disadvantages for our country in both geopolitical and geo-economic terms. 1949-1989: This period began with the increasingly systematic attempts to replace confrontation with co-operation, a process that both succeeded and failed. Looking at the successful aspects of this process, which has also influenced Romania’s foreign trade, we can mention the institutionalization at the level of the international trading system (manifested through the signing and operation of the General Agreement on Tariffs and Trade – GATT), the emergence of United Conference for Trade and Development (UNCTAD) and the configuration of an ever-dense bilateral or plurilateral trade agreements climate. When it comes to less-encouraging developments, we can mention the installation of the “Iron Curtain” that crippled exchanges between our country and Western countries. Against this background, Romania’s economic and social landscape was at a stage where we witness the counterproductive devolution from the fundamentals of a functional market to a quasi-totalitarian statist centrally planned economy, the diminution of private initiative, the practical severance of traditional trade relations with the most important trading partners and their substitution with those of the so-called “brotherhood states” under the patronage of the USSR and the installation at very height of the economic decision level of camouflaged arbitrariness and planned chaos. In all the three sub-periods in which this period can be segmented, the unifying was expressed by the authors through the rhythm of a popular dance which goes “two steps forward and one back”. Romania’s foreign trade during this period is analysed using the following analytical axes: the position of this economic flow as a wider reproduction factor; the hesitant mode of its qualification as the engine of industrialization; explicit and implicit autarchic orientation, especially in relation to imports, while exports were encouraged, even frenetically; the difficult transition from dependence on a market segment to opening up to the international business environment; imbalances in the core macroeconomic correlations, accentuated by the government’s ambition to pay off foreign debt ahead of time; desperate efforts to overcome the less-developed-economy status; the growing gap between rhetoric favourable to international cooperation and the isolationist reality in terms of economic flows. From the reading of the pages devoted to this period, clarifications can be obtained about specific lights and shadows, and a series of lessons can be derived to help nostalgic people see the negative aspects and for optimists to understand that sometimes it is necessary for realists to develop public policies based on economic rationality and social effectiveness. Against the Communist background, Romania’s economic and social landscape was at a stage where we witness the counterproductive devolution from the fundamentals of a functional market to a quasi-totalitarian statist centrally planned economy, the diminution of private initiative, the practical severance of traditional trade relations with the most important trading partners and their substitution with those of the so-called “brotherhood states” under the patronage of the USSR and the installation at very height of the economic decision level of camouflaged arbitrariness and planned chaos. 1990-2018: An important part in the “economy” of the book is devoted to the evolution of Romania’s foreign trade during the period 1990-2018, when an important process of systemic transformation at the level of the entire Romanian society was set in motion. The authors have rallied to the opinions expressed in the literature on the most acute challenges to which solutions had to be offered. Among these, the most pressing were: the sensitivity of the management of social pressures amplified by the costs of transformation processes; the different tolerance levels of different interest groups over the effects derived from advancing market economy transition processes; the inertia existing at the various levels of Romanian society; the reluctance of foreign investors coupled with the awkwardness of Romanian managers; the insufficiency of the capital stock in relation to the big needs resulting from the necessity for change to a new techno-industrial paradigm; the existence of large gaps in production, human capital and basic logistics; the dangerous void between the speed at which the market instrument is used and the purely economic fundamentals of the transition (privatization, managerial setting of economic activities, maturing capital and human capital markets, investment policies). The process of redesigning the trade and the trade-related policies has proven to be very ambitious, aspirational but very difficult to operationalize on a practical level. The need to set up a strategic option as far as the economic development model was concerned, with structural reorientation and repositioning towards the processes of globalization and regionalization at the level of trade, has become vital. 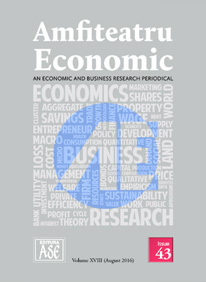 The authors offer to the readers of the book a complex epistemological and praxeological picture which reveals the basic economic correlations between the reform sequences and its plans, the causal relations between the relevant macroeconomic variables, the succession of the reform components in the commercial policy plan and the difficulties of the redefinition process and the re-implementation of commercial tools. A special place in the analysis is devoted to the reasons that led to the erosion of the credibility of the reformist approach, the risks associated with the inventory of stereotypes and the context in which internal interest groups changed their propensity for partnership with third parties. In a balanced and parsimonious manner, but rich in thematic openings, the authors review the most relevant sub-regional, regional and multilateral partnerships that our country has sustained throughout this period. The focus is on the context in which these partnerships, the paradigm changes they required and the effects they have on the economy and trade of our country, have become necessary and useful. In the book, there is a clear delineation between the generations of trade agreements, between the elements of symmetry and the asymmetry attached to these partner documents, between their stringency and the natural added value derived from them, between pre-accession to the European Union and post-accession to this great integrationist economic group. The reader is invited to take note of and reflect on paradigm changes in the foreign trade plans such as: switching from a conformance-based logic to a proactivity-based logic; the transition from the pre-accession period to the one in which the process of integration into the European economic structures is operational; switching from the European Union as a market to the European Union as an idea; the transition from multilateralism versus regionalization to multilateralism in terms of advancing the regionalization process. The commercial picture is analysed in all its basic components: dynamic, commodity structure and geographic dimension, focusing on the speed of changes in the development of the component processes, on the relational dimension, on the training effects related to the various commercial policy measures, in short, medium, and long term horizons. The main factor determining the added competitiveness of the products and services exported by our country is represented by the diversification of the structure of the Romanian economy due to the increase in the level of technological intensity. More and more high value-added products are found in our country’s exports, and companies operating in Romania are increasingly positioned at regional and global supply chains. Adding to the originality of the analysis carried out by the authors is the analysis of the evolution of Romania’s export competitiveness on foreign markets, especially those of the EU Member States. The main factor determining the added competitiveness of the products and services exported by our country is represented by the diversification of the structure of the Romanian economy due to the increase in the level of technological intensity. More and more high value-added products are found in our country’s exports, and companies operating in Romania are increasingly positioned at regional and global supply chains. The authors’ analysis highlights both gains and losses in international competitiveness rankings, the competitive advantages identified in the productive sectors, and the main causes of the ever-present trade diversion effects. It is highlighted that exportable services are finding an increasingly important role in the external trade balances to which the Romanian economy is related, representing the seeds of the advancement of the tertiary process of the economy. The analysis concerns both the sectoral component of the service sector and the macro-micro binomial axis, which allows the reader to take note of a series of interesting developments of the Romanian economy on the foreign trade component. Starting from Acad. Isărescu’s assertion situated in the preface of the book, where he is referring to the events that took place throughout the year 2018 to mark the Centennial of the Great Union, and which he characterizes as being “far from wearing festive clothes, there were always real colloquies on causes and effects”, we can conclude that this work represents the contribution of its authors to the conversation dedicated to the causes and effects of foreign trade in the great equation of Romania’s economic development.